When Cherry Mobile G1, one of the many Android One phones reportedly started receiving Android 7.0 Nougat update, it became clear that Infinix phones will be receiving Nougat update with other phones: the Nexus 6, Nexus 5X, Nexus 6P, Nexus 9, Nexus Player, Pixel C, and General Mobile 4G (Android One). 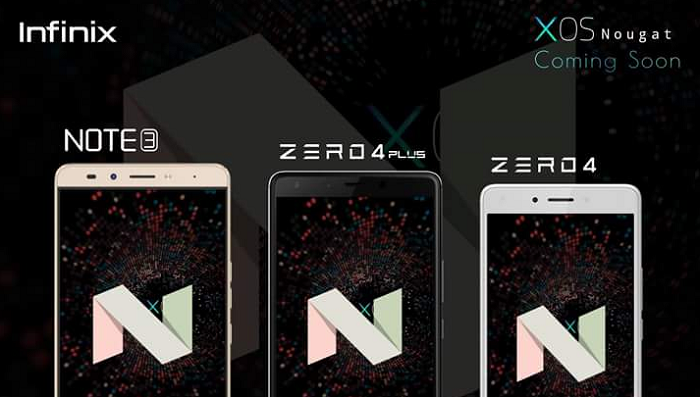 According to Infinix, Android 7.0 Nougat updates will be coming to Note 3, Note 3 pro, Zero4, and Zero 4 Pro already have the software update or it’s coming in the next few weeks. The HOT 2, Infinix first Android One smartphone received an OTA update, then another, and yet another making it more likely to receive the new Android 7.0 OS. But it seems, HOT 2 and other Infinix smartphones users will have to wait a little longer. Android Nougat release date for some phones doesn’t always reflect what you see in your software update menu. Today, we have been able to lay our hands on Android 7.0 Nougat update for Infinix Note 3, Note 3 pro and here, we will be guiding you on how to update yours. Although its still on beta stage, but many of the Note 3 users has been able to install. Before you proceed, this updates is still in beta stage as earlier noted. This means it may contain some bugs that are not desirable. So, if you still desire to have a bite on the tasty Nougat update, we’ll not be held responsible for the after effects or any other issue that might arise on your device afterward. Backup your device, documents and important files. With this in place, you can easily revert to previous working conditions. However, if you don’t want to pass through the above stress, you can simply wait for the OTA updates that will soon begin to roll out. Meanwhile, we’ve got a splendid Android 7.0 Nougat review for you to check out and see all the latest features Google’s OS has to offer.